So quite a while ago I made a second 101 in 1001 list. It’s been about a year and a half since so I wanted to share some of my favorite things that I have crossed off! 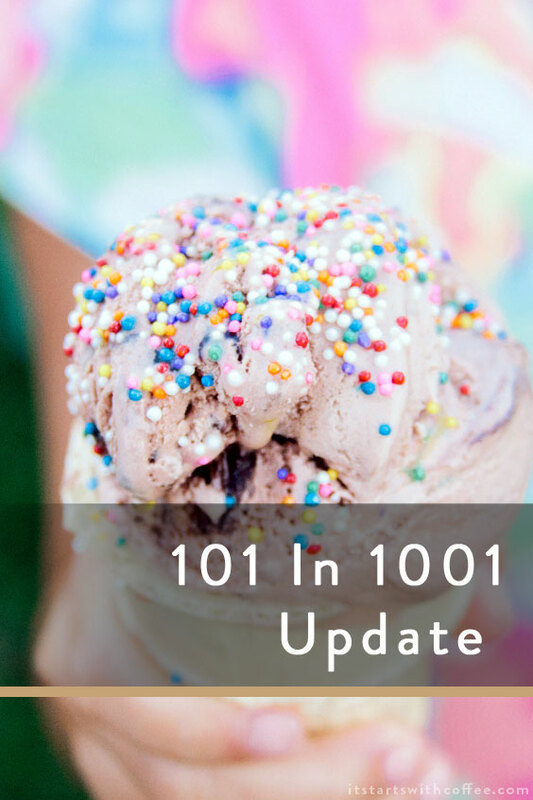 So a 101 in 1001 update if you will. This will probably be my only update until time runs out in May of 2020. I am going to break this down category by category and share what I have done but only my favorite things. Check the full list out to see everything. See Hamilton (Andrew and I saw Hamilton in Chicago and we are actually seeing it in Dallas again! Join a moms group in my area. This is a huge one for me. I joined the group when Liam was 6 weeks old and it took me a few months to really not let my anxiety get the best of me and go to stuff. Well now Liam is almost 2 and these girls are my best friends in the world. We have a group text and talk all day everyday. They are the best and I can’t imagine my life without them! Finish Andrew and My Q&A a day book. So we did this everyday for 3 years and I am so impressed with us. Sometimes we would have to catch up on a few days but we finished. This is the one we used. Grow Instagram to 50K. I am almost to 100K and I just can’t believe it. Work with a big brand I haven’t worked with. I have had amazing opportunities to work with so many of my favorite brands. Go to Magnolia Market with friends. So fun and such a special day. Take Liam to see Santa. We have gone each year to the same Santa (yes same exact Santa) that I grew up going to! Have a 4 generation photo made with my grandparents, dad, Liam and I. Yes and thankfully we have many! Treat my mom to a mani/pedi/lunch date. Always good when I get to spend the day with my mom. Give 5 “just because” gifts. Nothing more fun! Go to an outdoor concert. We did to see Counting Crows even though we had no idea it would be outside. Long story. Take Liam to the Arboretum, Perot Museum, State Fair, Aquarium, and have pics in the bluebonnets done. Go to Austin as a family. We went when Liam was 10 months old and had the best time. Go to Chicago. We loved visiting Chicago. Liam was only 5 months so clearly we need to go again when he’s older. We’ve visited two new places together and have a trip planned for Laguna Nigel next month. No going out to eat for an entire month. VERY proud we did this. Watch 10 new movies. I have watched a lot more than that now but when I made this list and we had a small baby that seemed very daunting. Completely unplug for 24 hours. I plan to do this more. Get a new rug for our bedroom. I have hated our rug since we bought our house and I was so excited to get a new one. This is the one we got and we found it on Amazon! So those aren’t all the things I have done. Some things are in progress so not completely done but partially done and some things are coming up. But these are my favorites that are completely done and I can’t wait to see how many more I can do! These are really great! Good luck with the rest of them! I love the idea of this list! You’ve gotten so mich done. And some may not seem important to others, but they are important to you which is awesome! I loved reading through all your accomplishments! I did the 101 in 1001 in my 20s and you’re kind of making me want to try it again. You did so many amazing things! I always wanted to see Hamilton and go to see Mangolia Market! Though all of these are impressive, I am absolutely BLOWN AWAY that you were able to avoid eating out for an entire month! That sounds like torture to me but I’m sure it was extraordinarily rewarding. Love this list! Awesome job! I hope to make one of these lists myself one day! I love your random don’t eat out for an entire month. It’s totally something I’ve been debating on doing but haven’t yet. You have done so many awesome things! Great goals and more importantly being able to meet is amazing. Kudos to you! Looks like you have completed a lot of things and I’m sure you’ll do much more before the time runs out! I would love to know more about your Instagram tips and how to grow it. Wow! It sounds as if you have accomplished soooo much! Congrats -that is very exciting! There are so many fabulous accomplishments and adventures on this list. I have never tried to go 30 days without eating out. Wow, I’m not sure I could! Looks like you’re doing a great job! That’s awesome. I’d love to fly first class someday – that would be amazing. And I also really want to see Hamilton. It’s awesome to see how you keep up with the goals you set for yourself! keep it up! Congrats on 100k on instagram! 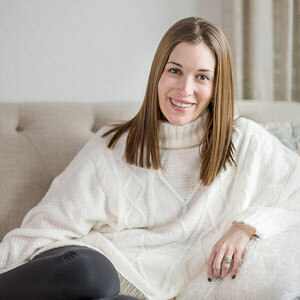 That is quite impressive and allows you to do all sorts of cool things as a blogger. I also love the idea of a 24 hour unplug. I really need to try that at some point.